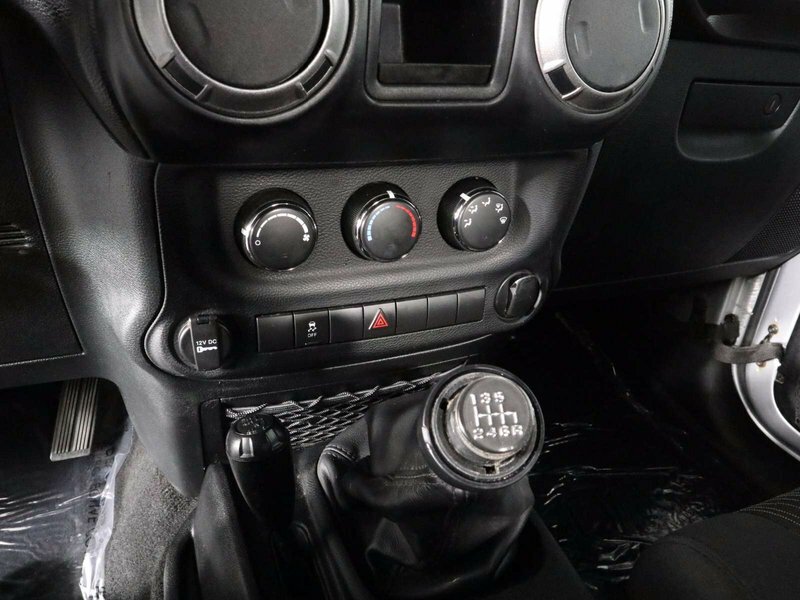 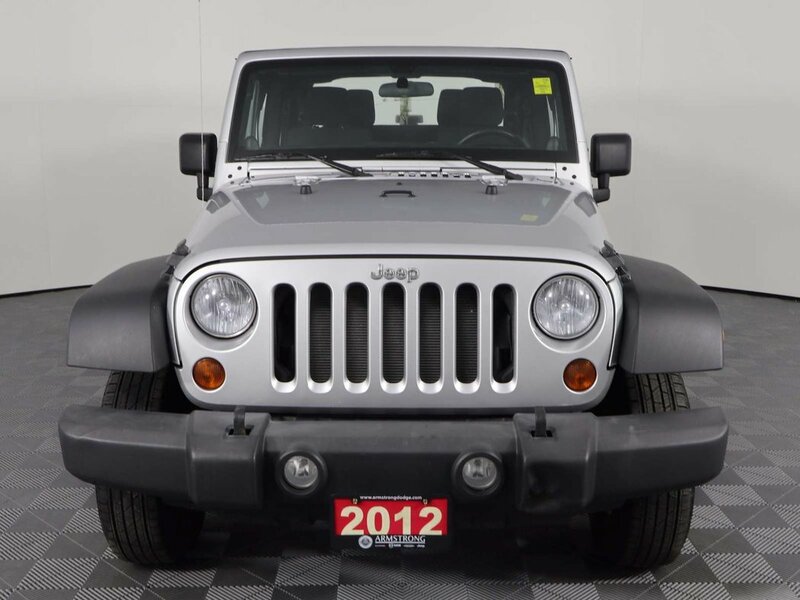 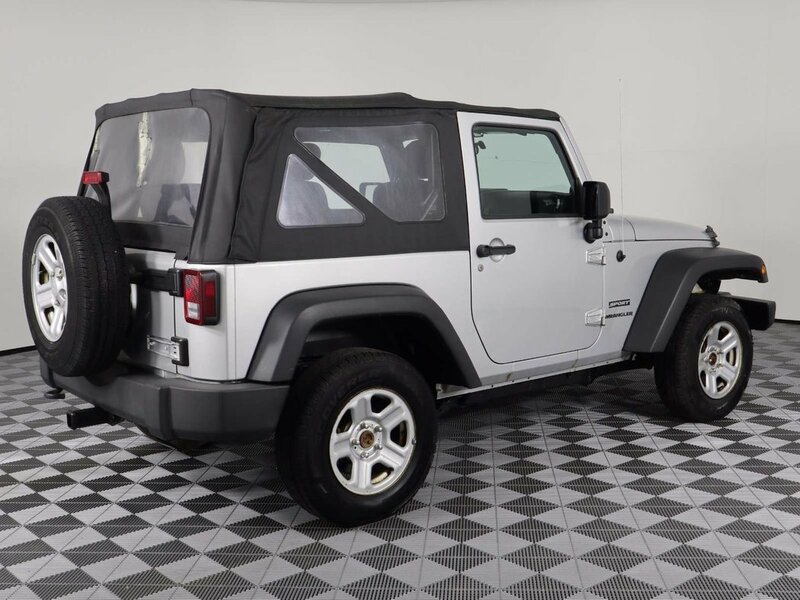 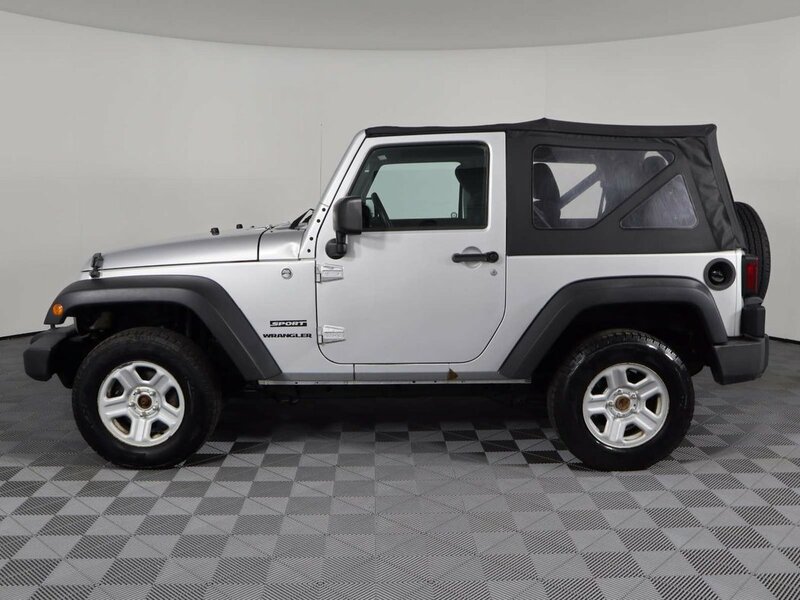 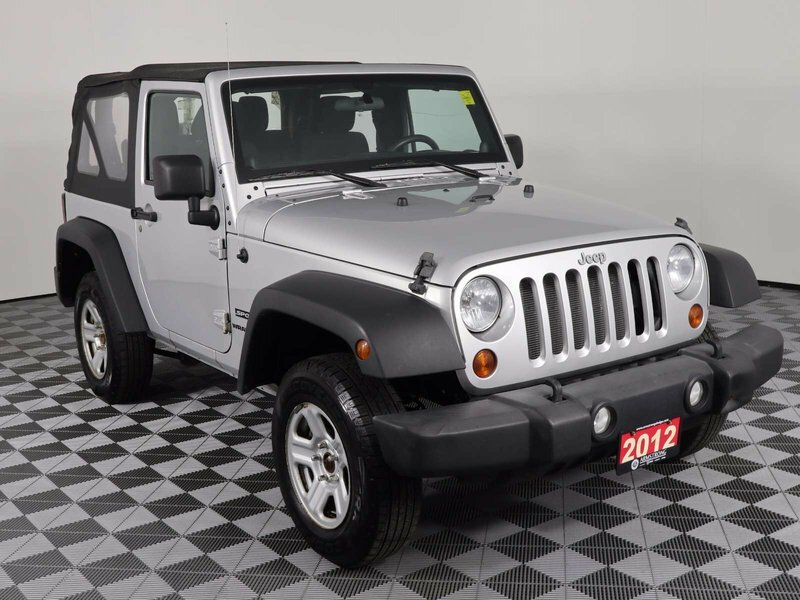 Depart from the beaten path with our iconic 2012 Jeep Wrangler Sport 4x4 in Bright Silver Metallic that is ready for summer! 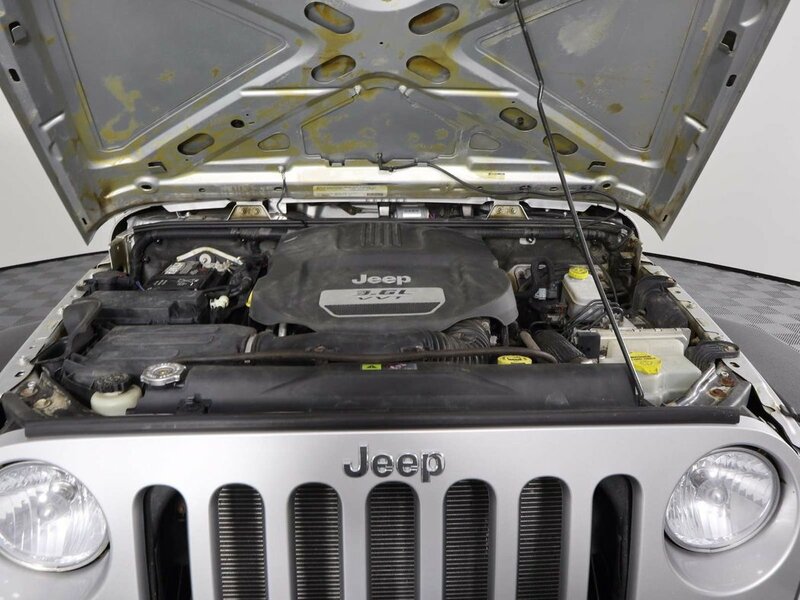 Under the hood sits a powerful 3.6 Litre V6 that produces 285hp and almost as much torque. 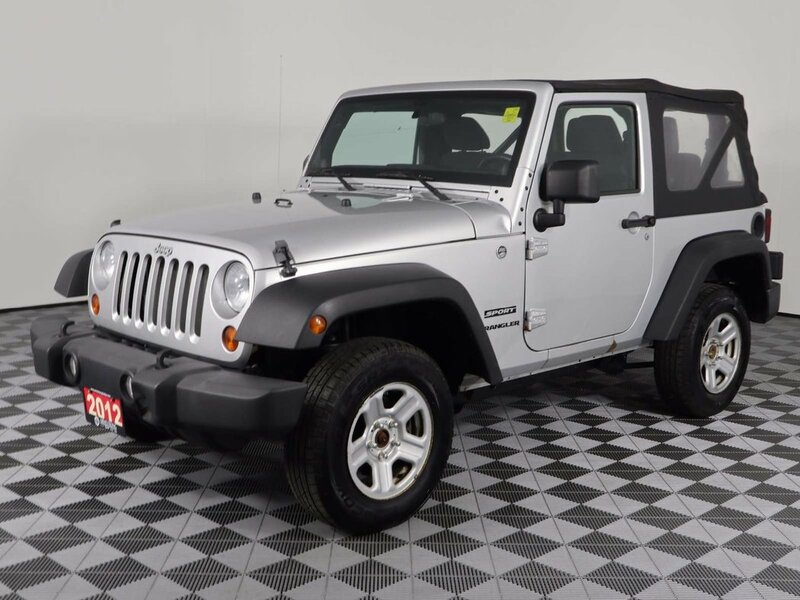 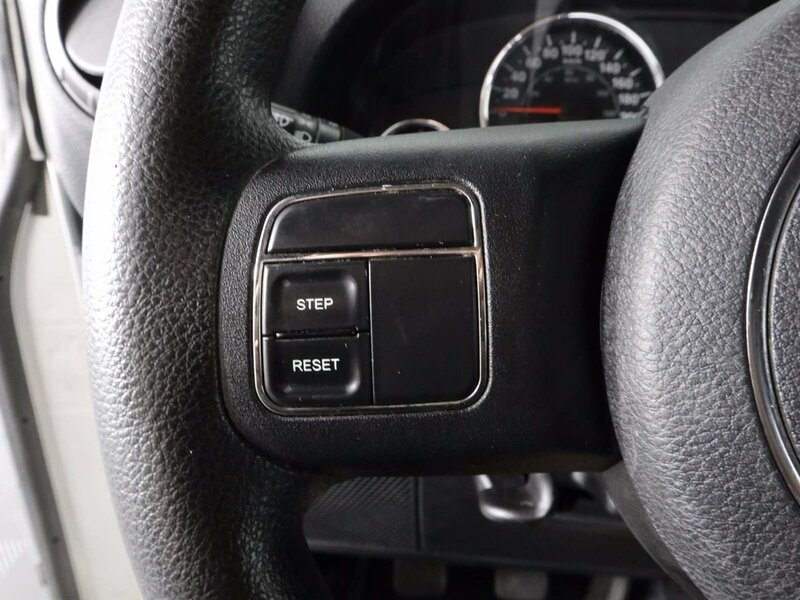 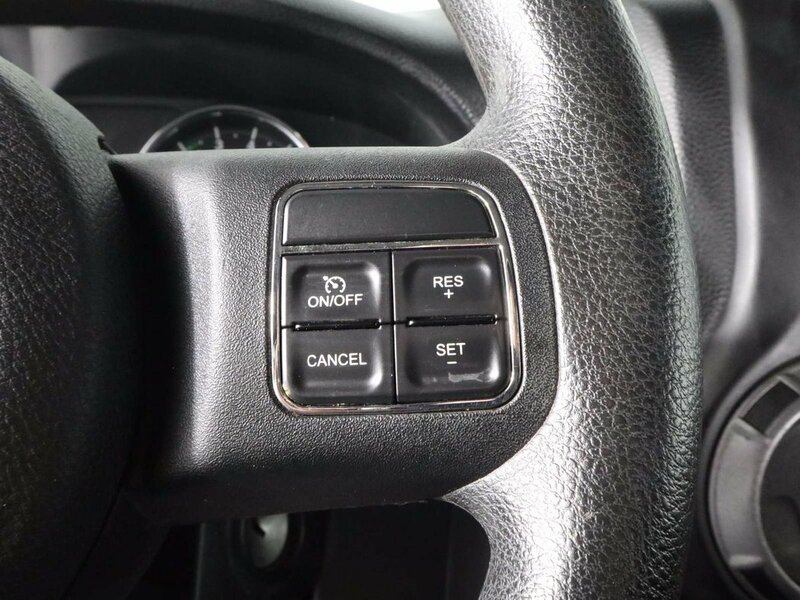 Combined with the rock-solid Dana front and rear axles, this 6 Speed Manual will allow you to maintain civility or to carve your own path where ever you see fit. 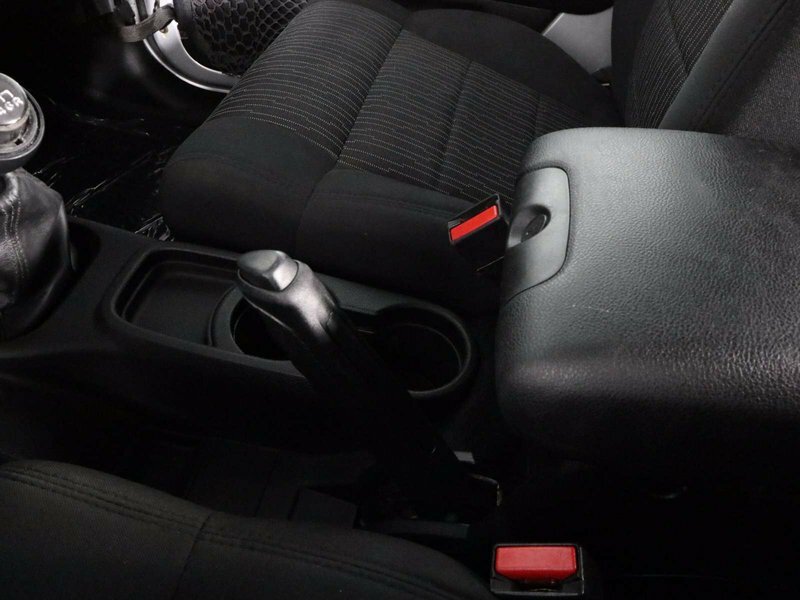 Take a cruise around town and you'll see that stepping in or out of most potholes does nothing more than spill your drink! 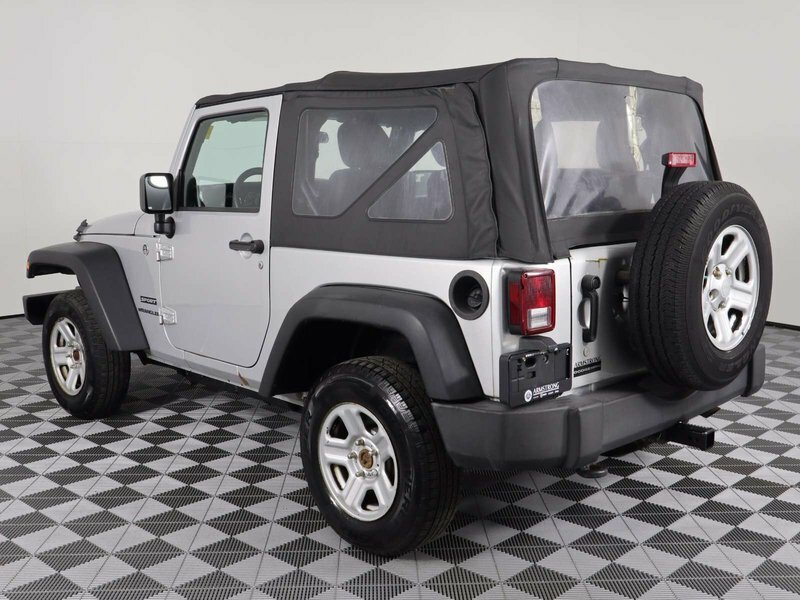 Check out the great-looking wheels, front and rear tow hooks, fog-lamps and removable soft top! 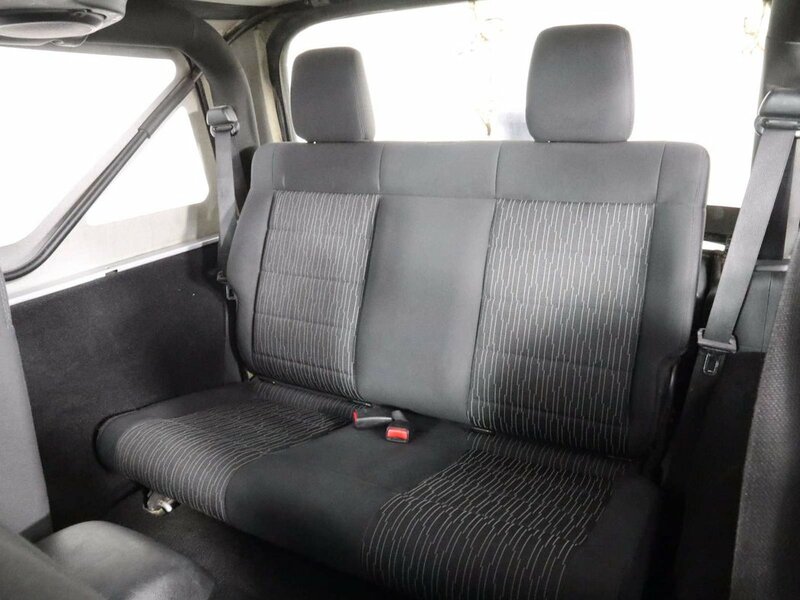 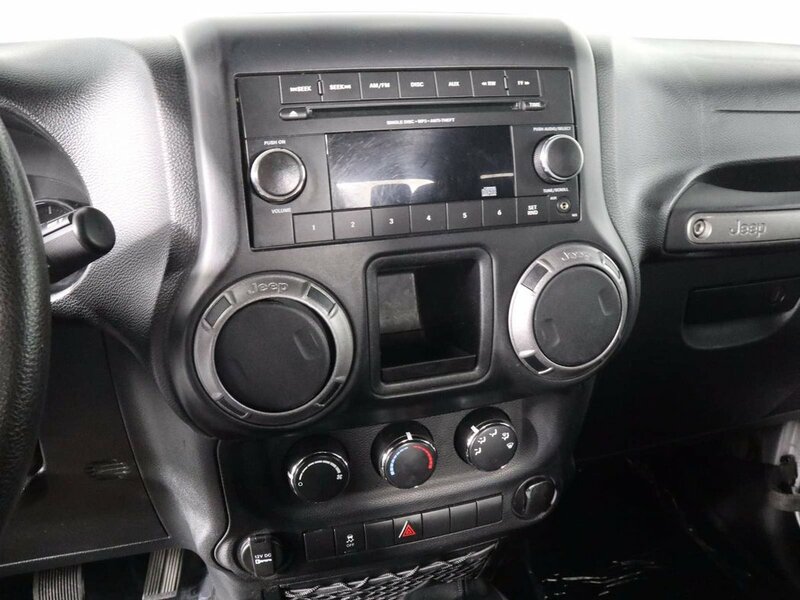 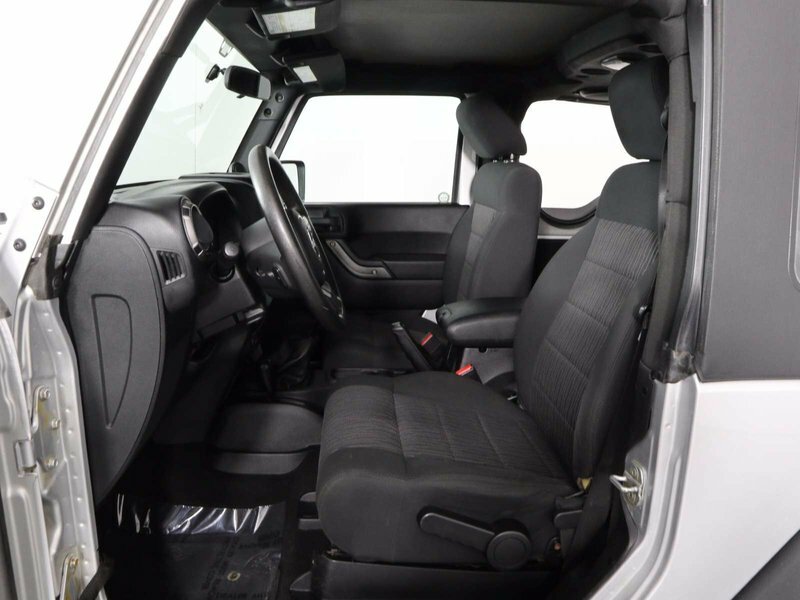 You'll appreciate the comfortable interior with everything perfectly in its place for your greatest adventures. 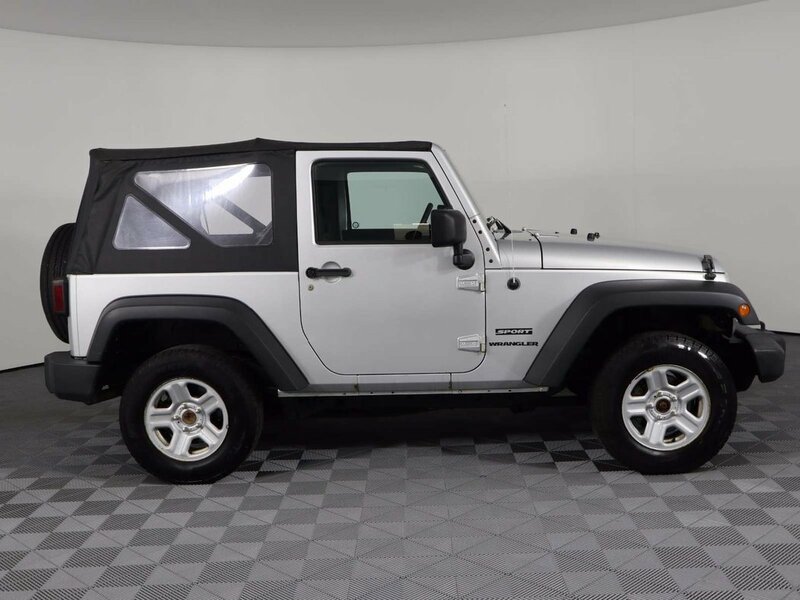 If you get the urge to take an open-air cruise, just remove the top, put on some shades, crank up the six speaker sound system, and hit the road! 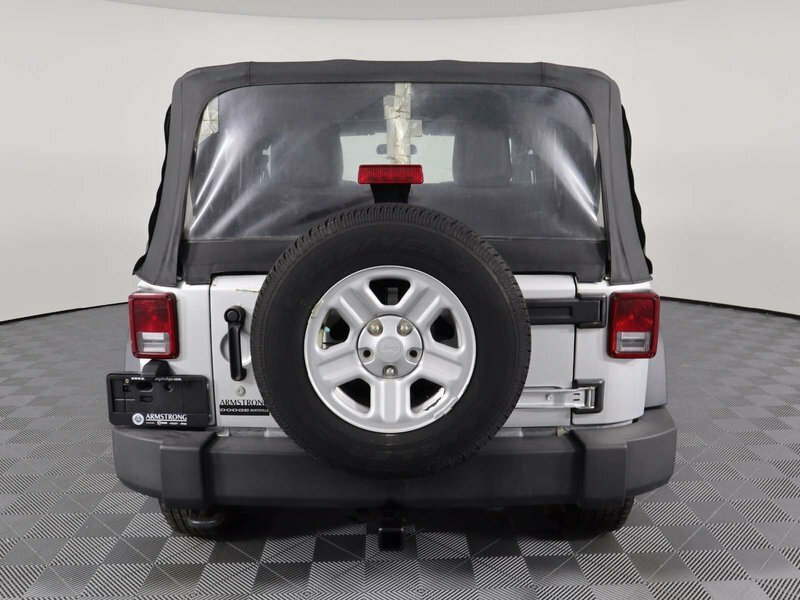 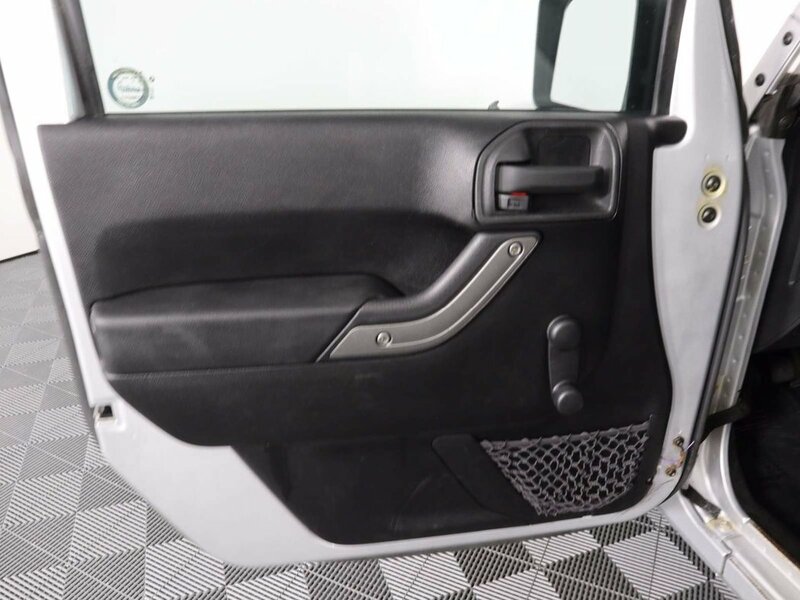 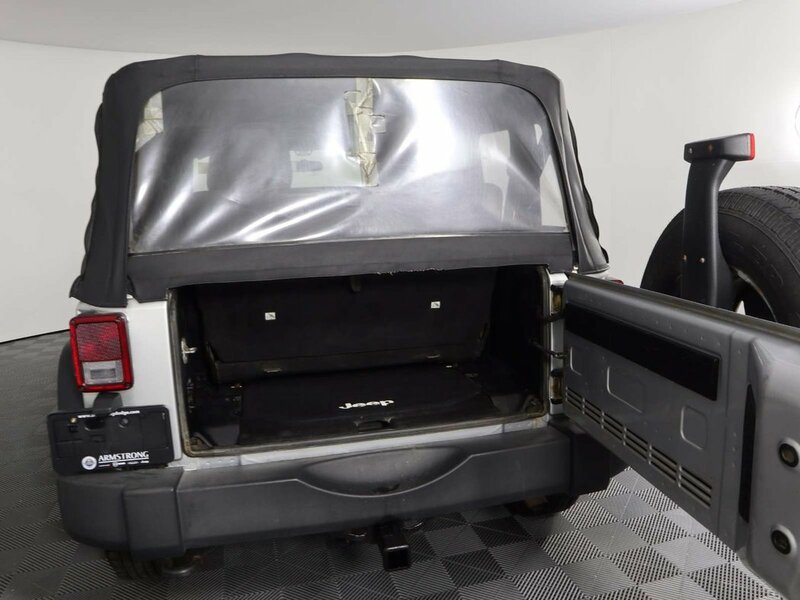 A strong safety cage surrounds you, multistage airbags protect you, and Hill-start and stability control help you along the way. 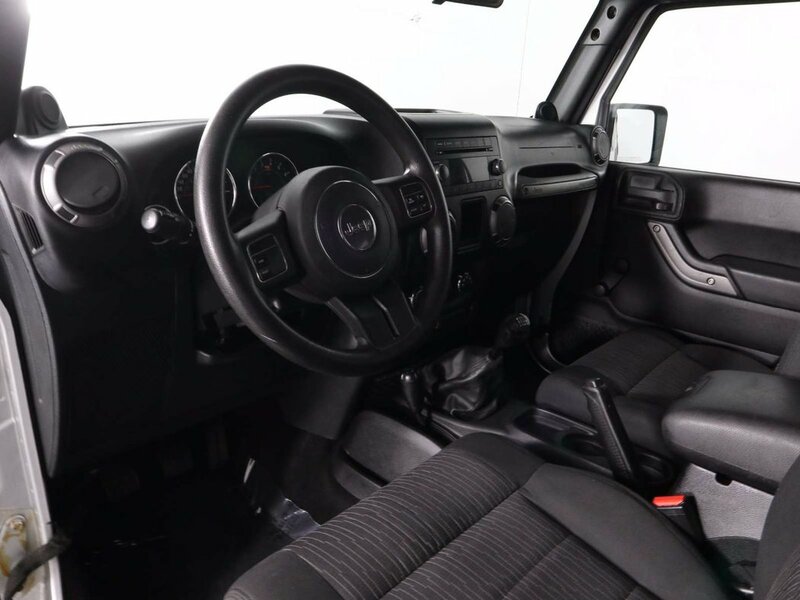 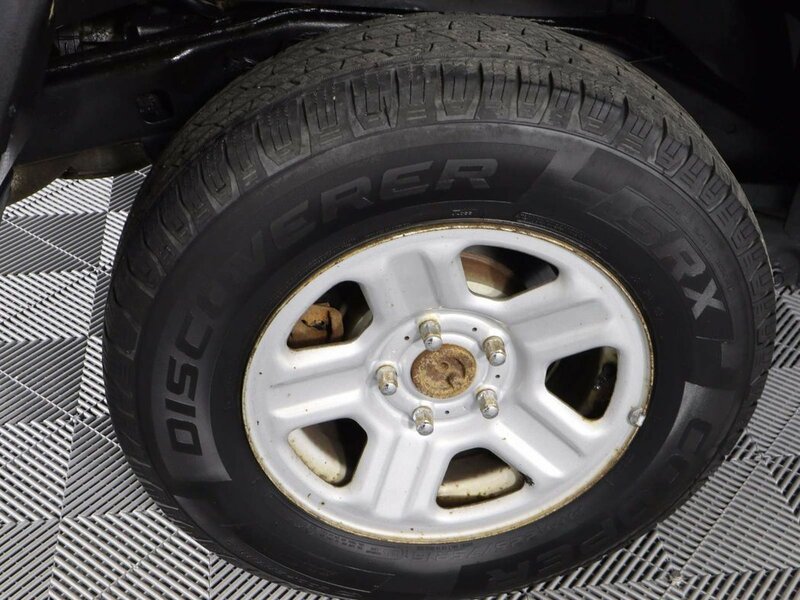 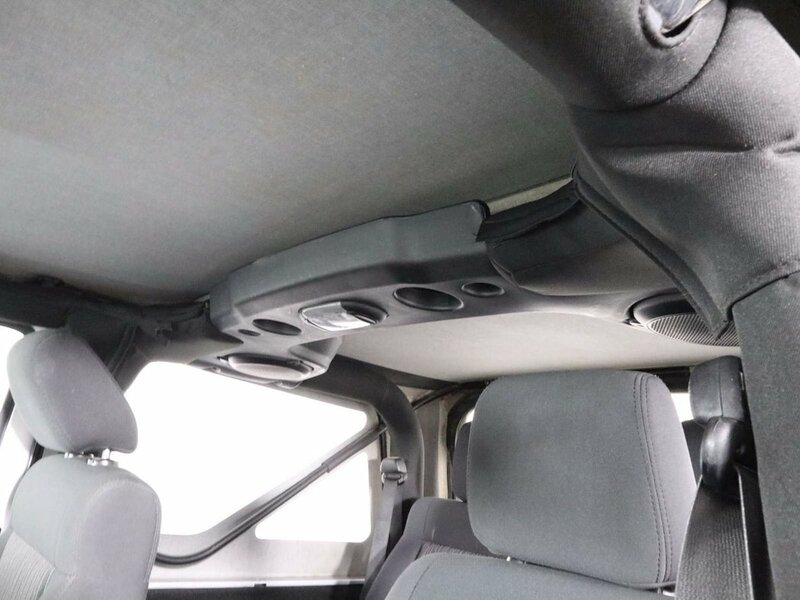 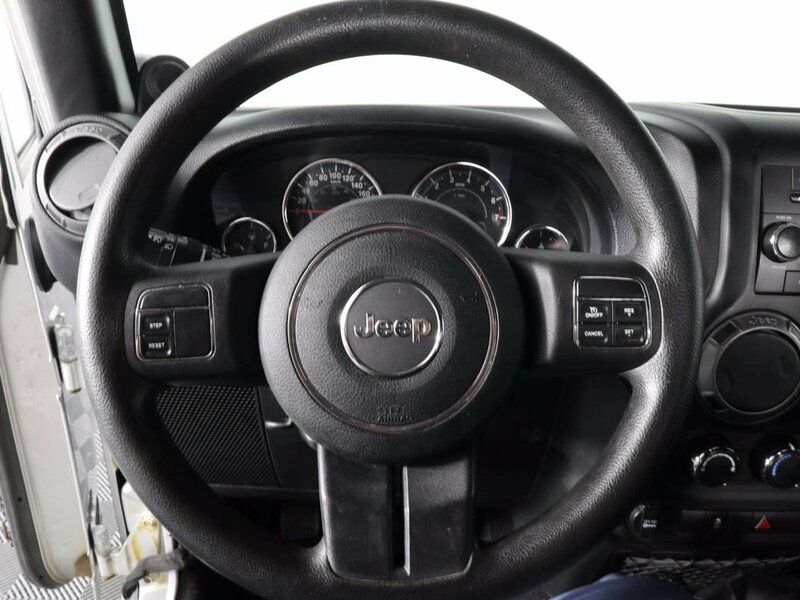 Our Wrangler Sport offers all of the legendary rock-climbing ability of America's favorite off-roader, with a dose of comfort to go along for the ride! 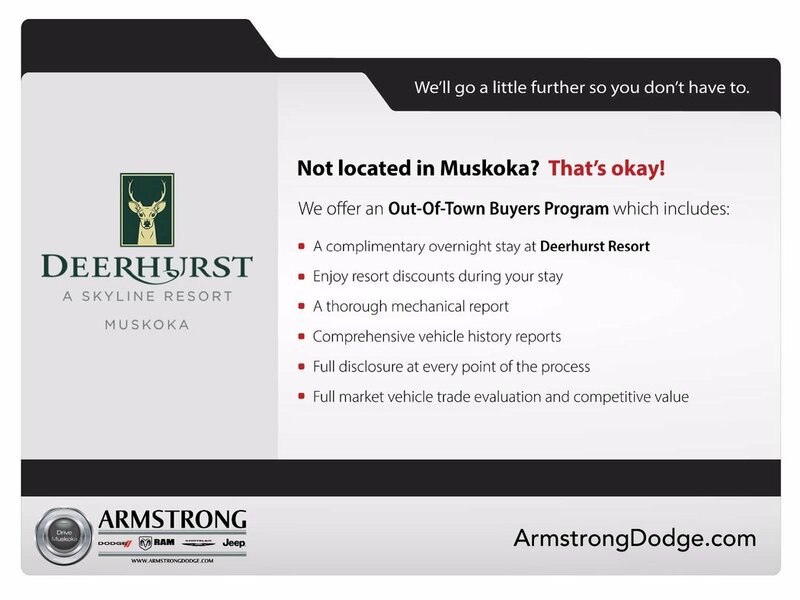 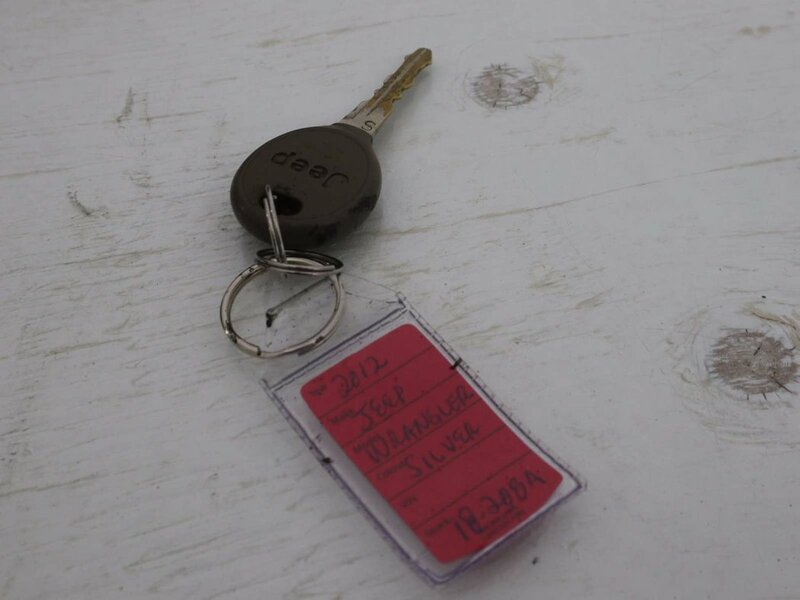 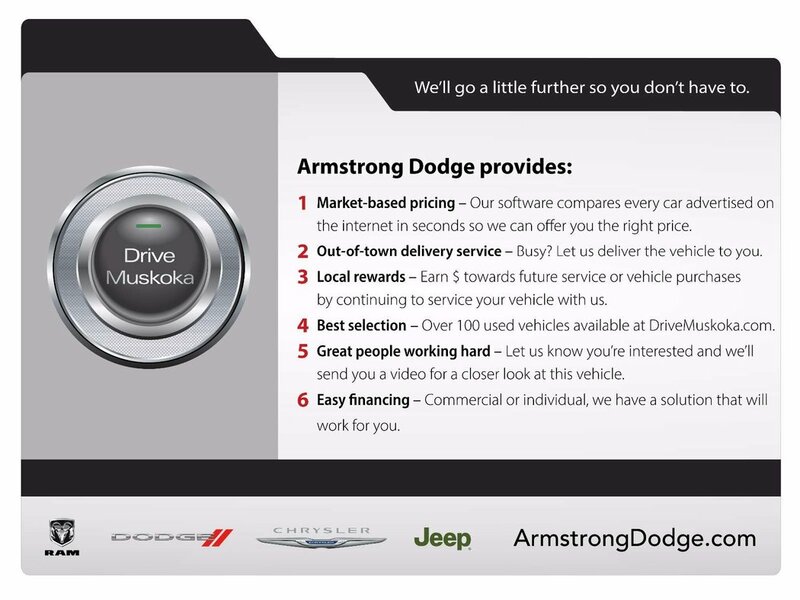 Print this page and call us Now...We Know You Will Enjoy Your Test Drive Towards Ownership!